This shop seems to be favorite of all the offices around it. There is no name of the shop. But you ask any one around Parliament and he Will guide you. 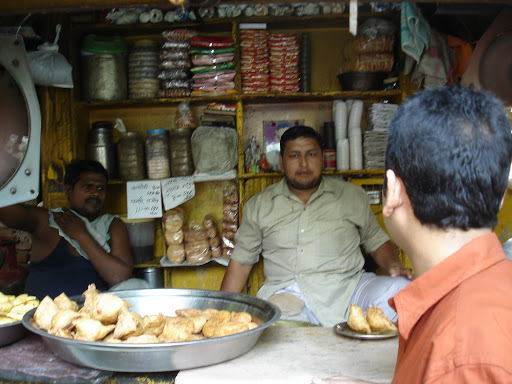 His kachoris are damn good but I will give 6 out of 10 for aalu sabji. I often visit this shop when ever I visit that area to meet my clients. Normally I take Kachoris and Tea , but even Bread pakoras and samosas are also good. Name of the owner : Pradeep , son of Late Giriraj Kishore who started this shop.